FSS provides heavy-duty steel storage units for automotive dealers, parts and service centers includes its technician workstations. We specialize in automotive storage products, from tech carts and transmission teardown benches to modular, custom workcenters. Our broad product range of steel storage solutions and experience repeatedly makes us a first choice for companies installing new or upgrading storage systems. With the FFS's new technician workstations, body shops and service centers have all the customizability they need to build the workstation that will do the job, at an affordable price. 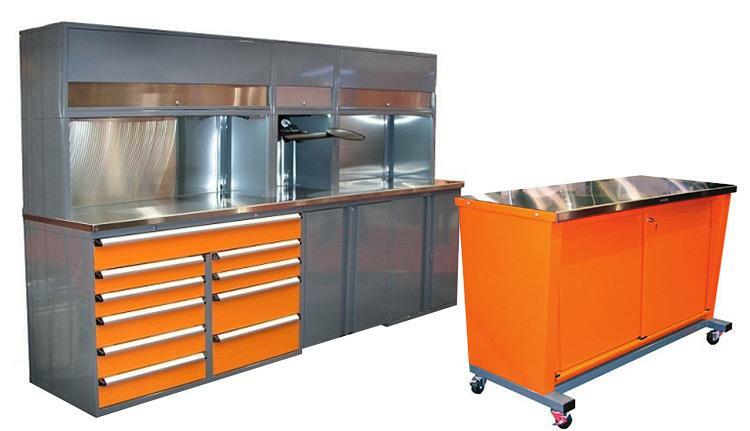 FSS can supply all your workbench needs with a wide range of heavy-duty steel storage equipment for your service department and maintenance areas. With over 200 sizes and styles of shop equipment and technician workbenches available, FSS knows how important it is for your service department to be quick and efficient.